Leanna was born April 10th, 1973 in Sacramento, CA. She was raised in the town of Rescue, where she lived on 10 acres and grew up riding horses. At a young age, she started riding in local rodeo barrel races. She then moved to the bay area to finish high school and find her career in Medicine. However, after working in the medical field for 10+ years, something was missing. She loved caring for her patients but needed a more creative outlet. Leanna was raised by a father who was in construction sales, therefore, she knew with a little hard-work, opportunities would become available. She found her way into owning a Decorative Concrete business and has since been involved in all facets of the Construction Industry, from Project Management, Estimating, Installation, Sales, and Distribution. Runyon didn’t have a strong presence on the West Coast. This is where Leanna came to join the Runyon team. She had the experience and knowledge of the industry, which made for a perfect fit. We opened our 2nd location in December of 2013. Leanna and her staff have done a fabulous job growing and servicing our West Coast customers. We are proud to say Leanna took the West Coast from low-grossing to one of Runyon’s highest-producing territories. The next Runyon Roots story is all about Angela Meyer. She was born on July 3, 1986, in a small town called Batesville, Indiana. Angela had a close-knit family, she was the third born with three brothers. She enjoyed playing softball, soccer, and basketball growing up. She went to college at the University of Indianapolis to get a Bachelor of Science degree. We are lucky she hated corporate America. Angela joined the Runyon Team in October 2013. She is extremely instrumental in developing new internal procedures and a dedicated guiding force to our sales team. The last couple of years have been extremely busy for Angela! She had two babies in two years and is still keeping it all together. We’re excited to see how she continues to grow in this industry and we are lucky she is part of the Runyon Team! Next in the Runyon Roots line-up is John Cavallaro, the Italian Stallion. He manages our parts department. He was born August 14, 1959, in Southeast Indianapolis. He grew up in a large Italian family, the fourth of six children. He attended all industrial arts classes in high school. His sister’s boyfriend got him his first job at Horner Electric where he rewound electric motors for the total of 32 years. In the meantime, during his nights and weekends, he found the love of dance and music. He worked at two local radio stations creating a mixed dance DJ show on Saturday nights. His weekdays involved DJ at local nightclubs around the city. 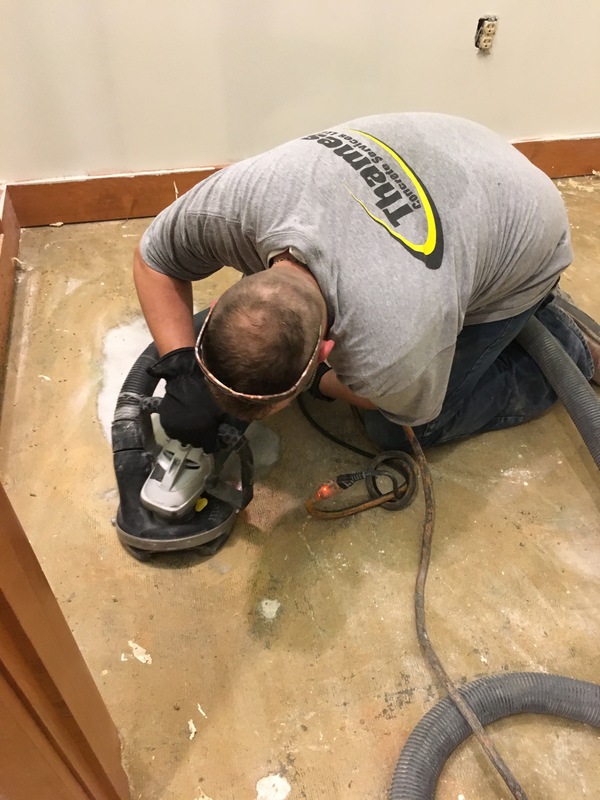 After leaving Horner Electric, he headed up Blakley’s Maintenance Flooring division. His job required him to repair their HTC, Terrco, and Ermator equipment. We were lucky when he decided to take a different path in July of 2013. John quickly grew and developed our parts department and is extremely instrumental in helping with our in-store customer support. Outside of work, John is busy spending time with his wife Deniece and family. He has a blended family of four children, two boys and two girls, and a total of six grandchildren. In addition, he loves playing golf and spending the month of May at the Indianapolis Motor Speedway. He is a huge racing fan that dates back to the 1920’s where his grandfather played in the Indianapolis Italian Musical Association Band at the Indianapolis 500. If you need any parts/service assistance on your grinding equipment, John is happy to help. As we roll into 2018, we wanted to take some time to reflect back on some pivotal moments in Runyon Surface Prep’s journey. From where we started, to where we are today. In doing this, we’re going to highlight all of our amazing team members. First up, Heidi is director of marketing at Runyon and here is her story. Heidi was born Jan 16th, 1991, in a family of three girls and grew up in a small rural Indiana town. She loved traveling in high school and went on several mission trips, including one to Brazil and a foreign language trip to Europe. Heidi was Salutatorian of her high school and was the recipient of the Eli Lilly Scholarship. She graduated from Butler University with Honors in International Business and Marketing and a Spanish minor. In addition, she studied abroad during college in Hong Kong for six months where she took marketing and IB classes and traveled all over Asia. Heidi started working with Runyon a week after graduating from Butler on May 20, 2013. She started working on the Equipment Rental side and gradually shifted fully over to Surface Prep division. In the almost 5 years she’s been with Runyon, Heidi’s helped it grow and expand to the booming business it is today. She has elevated our online presence, created a library of educational resources and guides. She’s collaborated to identify and target new markets, and she orchestrates our trade shows and training classes. She has brought new marketing ideas with an innovative twist to make Runyon’s marketing exceptional. One of our newest trade shows, The ARA Rental Show, is taking place in New Orleans, Louisiana February 19-21, 2018. Over 700 U.S. and international manufacturers and suppliers of rental equipment converge on the Ernest N. Morial Convention Center to showcase their products, including construction/industrial equipment, general tool/light construction equipment and party/special event equipment. As a closed show, only those involved in the equipment rental industry are eligible to register and take advantage educational seminars, peer networking opportunities and more. As a new associate member of the American Rental Association, Runyon Surface Prep is excited to be participating in The Rental Show for the first time. If you are a rental equipment business with a list of merchandise you want to add to your lineup, visit us at Booth #6912 and see a demonstration of our Runyon Tooling Line featuring a variety of metal bond tooling, wet and dry copper transitionals and resin pucks. 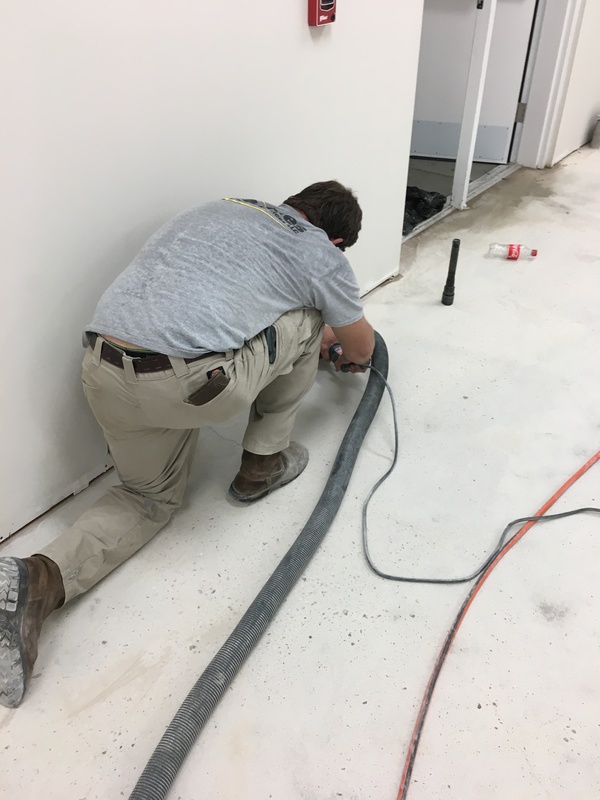 Whatever polishing system you are looking for to hone and polish concrete floors, Runyon has it – along with the grit you will need to produce quality concrete polishing jobs. 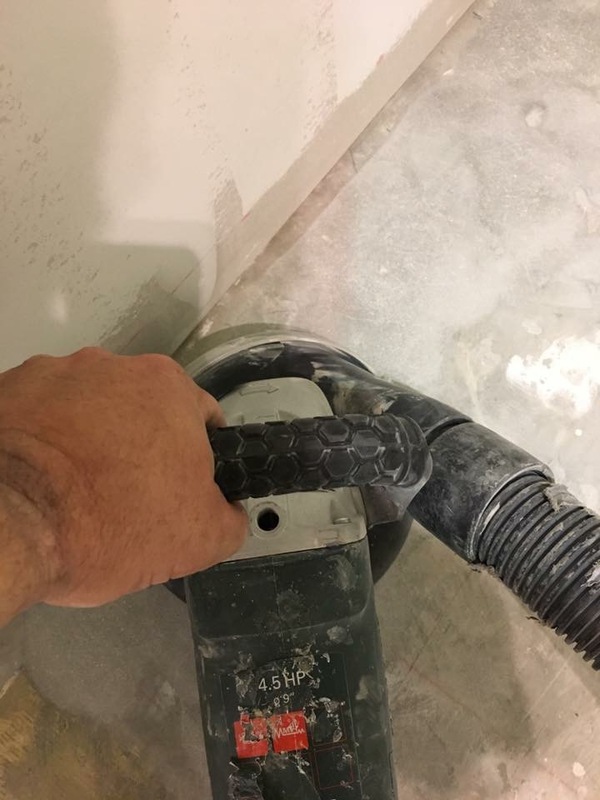 Surface Prep also features products from Husqvarna (grinders, tooling, etc. ), CS Unitec (concrete hippo mixers, hand mixers), Pullman Ermator (HEPA vacuums, air scrubbers, etc. ), National Flooring Equipment (floor scrapers, shot blaster) and Metabo (hand grinders). We are also an exclusive dealer of the amazingly affordable Tennant refurbished auto scrubbers. As the rental industry grows, so does your need for more inventory. Your company must stay on the cutting edge of new products and services. The ARA Rental Show is where you can find what you need, all in one convenient location. For the past five years, the exhibition hall has sold out. The crowds have grown steadily over the past seven years because businesses realize this is an opportunity to see products up-close and to talk to experts. More than 350 show-only specials are offered by manufacturers as an incentive to come with a shopping list. 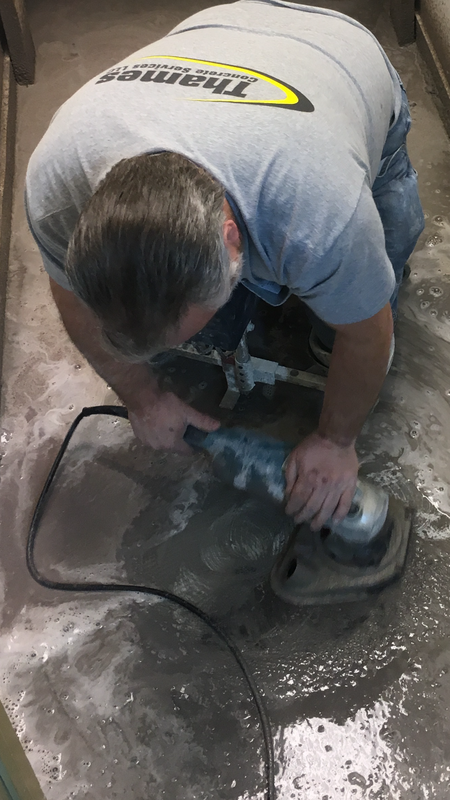 Shop for the equipment your company needs from representatives like Runyon Surface Prep who understand it best. Don’t let this great opportunity pass. Register today at www.therentalshow.com. February 19th will be here before you know it!